Earlier this week, Disney announced that the official name of their upcoming streaming service will be Disney+. Among other reveals, the studio’s chairman and CEO Bob Iger confirmed that the service’s first Marvel-related offering is in development. 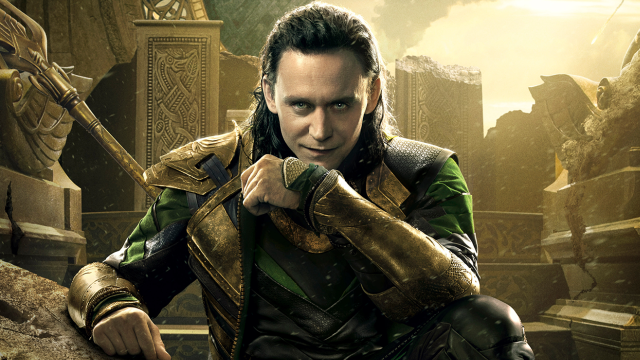 That series will center on Tom Hiddleston’s Loki and will be set in the MCU. Following this announcement, Hiddleston posted a cryptic response to his Twitter account. You can check it out for yourself below. Anyone who’s seen Avengers: Infinity War knows that Loki met his demise at the hands of Thanos in the film’s opening scene. Loki cheated death in the first two Thor movies. But even Chris Hemsworth’s Thor remarked that it looked very convincing this time around. Of course, Loki remains one of if not the most beloved villain in the MCU. His popularity with fans, along with the timeline tampering that’s rumored to happen in next summer’s Avengers 4, almost guarantees his return in future projects. Plus, unlike some of his co-stars, Hiddleston has offered no indication that he plans on retiring the role anytime soon. The possibility of a Loki series was first reported by Variety back in September. That same report also contended that a separate series featuring Elizabeth Olsen’s Scarlet Witch was in the works as well. However, neither Disney nor Marvel were willing to comment at the time. Disney+ is also developing a series co-headlined by Falcon and the Winter Soldier. Both Anthony Mackie and Sebastian Stan are expected to reprise their roles with Malcolm Spellman (Empire) writing the series. In a discussion hosted by The Hollywood Reporter, Marvel Studios President Kevin Feige said the episodic format of the new series will adopt the feeling of comic book issues. The jury’s still out on what the launch of Disney+ means for the Marvel shows that still have a home on Netflix. Are you excited to see a Loki series starring Tom Hiddleston? Tell us what you think in the comment section below!